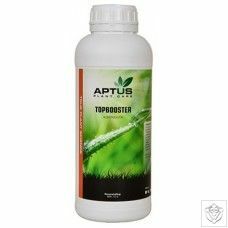 Top-Booster is a combination of bloom and maturation stimulators, its 100% organic with active ingredients that stimulate and activate the plants flowering response. This stimulation produces larger fruit and more fibres. Resin and sugars will also increase, thus, the quality of the end product will increase. Top-Booster will improve natural flavours and enhance the appearance of end product. 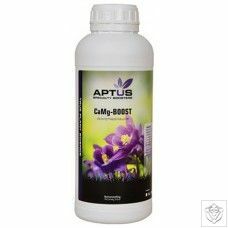 Top-Booster contains a synergetic cocktail of active ingredients that stimulate the complete flowering process; therefore Top-Booster can be used almost throughout the entire bloom phase. Use Top-Booster as an additive next to base NPK fertilizers. 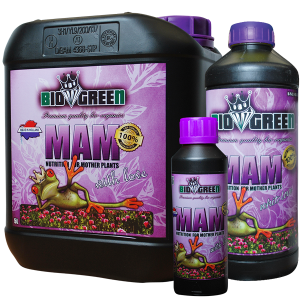 Use 2 ml per 10 Ltr of water (1:5000) from the second week of flowering until the last week. Top-Booster is 100% organic, as always with organic products there is a risk of blockages in drip irrigation systems, always use System-Clean when using Top-Booster in drip irrigation systems.